Do you work for a corporate facing an innovation challenge? 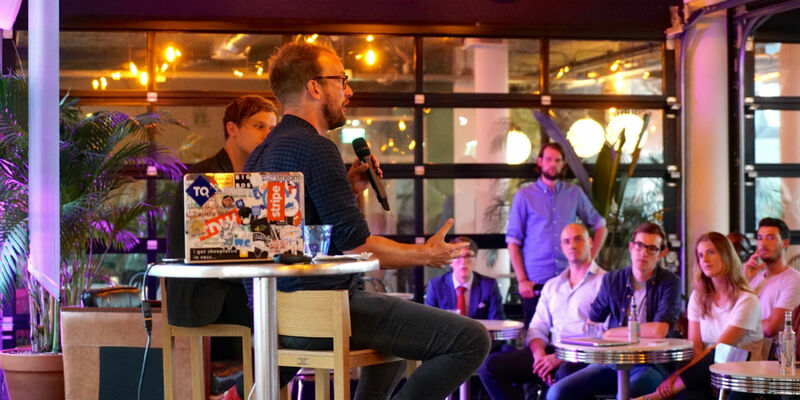 Whether it’s an internal or market driven challenge, this workshop - hosted by TNW and KPMG - offers corporate innovators the opportunity learn how to shape their innovation challenge in such a way that you’ll be able to start working on it the very next day. This private, facilitated session is aimed at corporate innovators who are looking to take things to the next level. As well as walking away from the session with a nicely defined challenge, you’ll also be introduced to tailor-made concepts to help you achieve your objectives. Apply for the workshop and join us on the 14th Feb! This workshop is offered as part of the Fastlane to TNW Conference 2019 program, a spark of collaboration between TNW and KPMG. This partnership leverages the love for tech of TNW and the eye for precision of KPMG in program that helps corporates can find the best global solutions to their business challenges and bring those innovations to the conference. The Fastlane distinguishes itself from comparable programs offered by TNW and KPMG, as it uses the momentum of the TNW conference to involve the entire tech ecosystem to solve your innovation challenges! TNW is known for its unparalleled reach in the global tech ecosystem via media, conference and brand reputation, while KPMG offers combined power of innovation programme expertise with in-depth knowledge on Blockchain, Fintech and Payments. Both companies have extensive expertise in driving corporate collaboration via the power of the tech ecosystem.